Designed and priced to be your first SWR! The SWR LA15 Bass Combo Amplifier is an entry-level powerhouse featuring classic SWR preamp and Aural Enhancer circuitry for great SWR tone. An extended-depth cab design brings out the best of the low, and it can be tweaked to perfection with its 3-band active EQ. Comes equipped with a post-EQ line out that doubles as a tuner output, stereo headphone outs with speaker defeat for silent practice, and a mix input for practicing with CD player or drum machine. 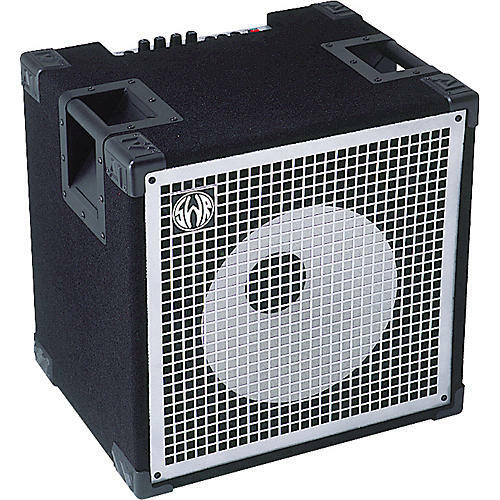 Extended-depth cab design enhances bass response. Edgemount handles. Start with an SWR and get ahead faster. Order today.